The Southwest Airlines pilot being lauded as a hero in a harrowing emergency landing after a passenger was partially blown out of the jet's damaged fuselage. The Southwest Airlines pilot being lauded as a hero in a harrowing emergency landing after a passenger was partially blown out of the jet’s damaged fuselage is also being hailed for her pioneering role in a career where she has been one of the few women at the controls. 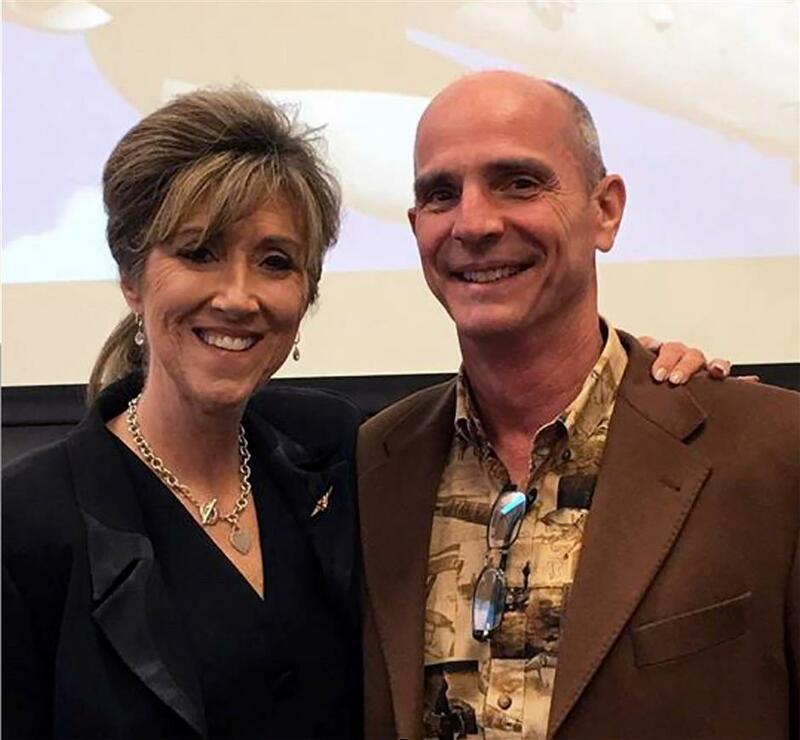 Tammie Jo Shults, one of the first female fighter pilots in the US Navy, was the captain and piloting the Dallas-bound Flight 1380 when it made an emergency landing on Tuesday in Philadelphia, according to her husband, Dean Shults. 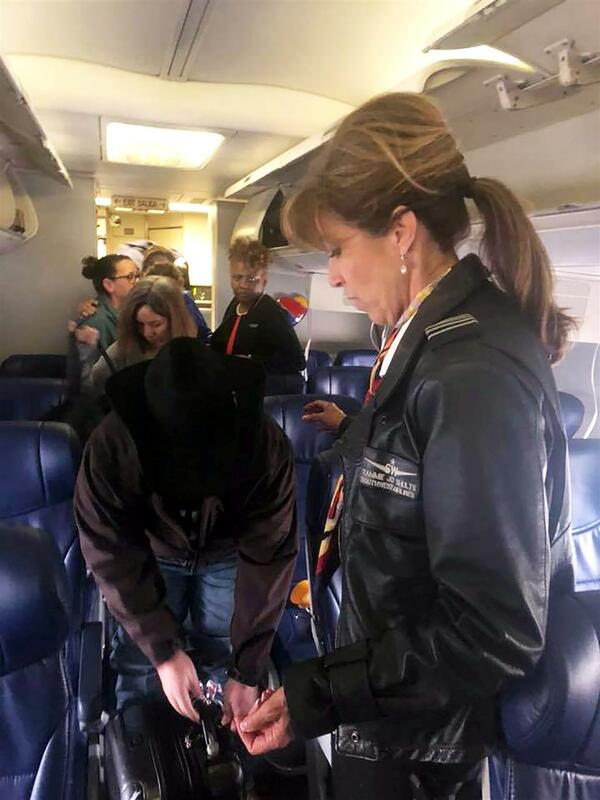 Tammie Jo Shults, who successfully landed the Southwest Airlines flight after its engine exploded on Tuesday, went back to speak to the passengers on board after the landing. One of the engines on the Boeing 737 exploded while the plane was traveling 500mph (800kph) at 30,000 feet (9,144 meters) with 149 people on board. Shrapnel hit the plane and passengers said they had to rescue a woman who was being blown out of a damaged window. The woman later died of blunt force trauma to her head, neck and torso. In a statement late on Wednesday, Shults and First Officer Darren Ellisor said they felt like they were simply doing their jobs. 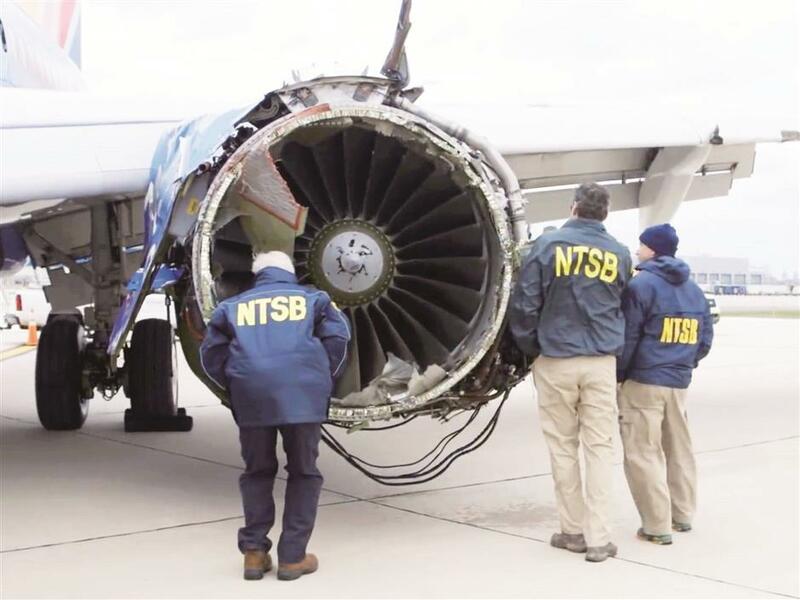 Engineers check out the exploded engine after the plane was safely landed. Friends at Shults’ church in Boerne, Texas, about 30 miles northwest of San Antonio, said on Wednesday they were not surprised after listening to the recording and reading media reports about her actions. “While we at that time had an exclusion, she was in fact helping male pilots hone their skills,” Flanders said. 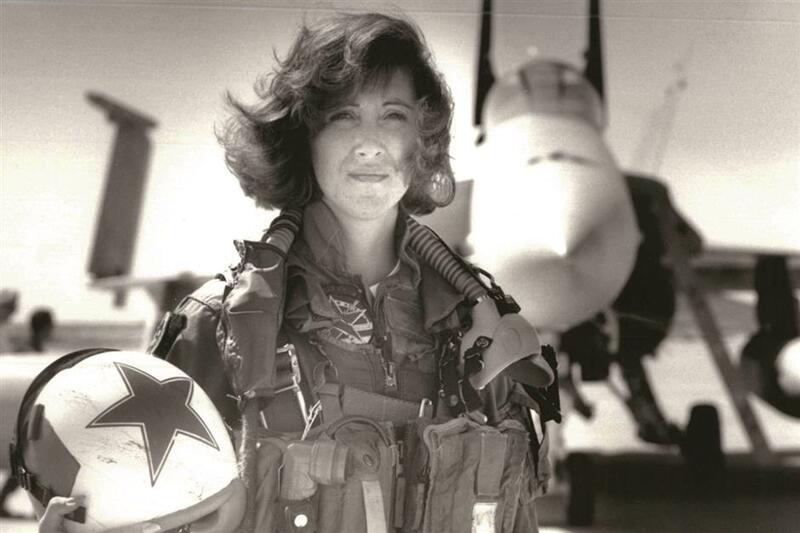 Tammie Jo Shults is one of the first female fighter pilots in the US Navy. Though women aviators were excluded from combat missions until 1993, she flew aggressively during Operation Desert Storm trainings. Shults was featured in Maloney’s book “Military Fly Moms” along with the stories and photos of 69 other women US military veterans. Shults’ brother-in-law, Gary Shults, said her husband also is a Southwest pilot and told him she made the emergency landing.